As small and large businesses depend on the Internet for day-to-day operations, the daily activities online may range from paying bills to shopping to communicating with colleagues and customers. Therefore, sensitive information such as customer data, financial records, and company property may be threatened as a direct result of misuse or misunderstanding on Internet safety and security. Now, with that being said, perfect online security is certainly unrealistic but there are practices and tips to improve and protect your business, staff, and customers. Keep your software and operating systems as up-to-date as possible: When the company system receives a security update and it becomes available to install, take the time and effort to download and install without hesitation or delay. Staying updated is a must. 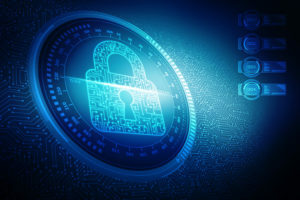 Secure your wireless networks: Any open network is basically an invitation for any outsider to connect to your network and attempt to compromise it. Once you secure your wireless networks, apply strong passwords. Keep this information written down, always hidden or in a private area. Set up firewall and other security: Be sure to install Firewalls, which protect your internal networks from threats. Install not only on your servers, but on all office computers, laptops, and mobile devices. Your computer systems should be installed with the most up-to-date antivirus and anti-spyware software. Secure access to devices and computers: Double check any and all laptops or mobile devices within your office space to ensure they are stored securely. You can significantly reduce the damage done by avoiding lost or stolen devices. Educate your employees on cyber safety: Easily overlooked, train your employees on the threats they face and the safest way to use the company’s internet and email systems.